It is a one hour time block with tap and creative movement each taught in 30 minute sections. Creative Movement is a class taught with a mixture of ballet and jazz movement which provides a medium for self-expression – the core of choreography. Through imagery and imagination the child explores and learns new dance movements. Some ballet terms are introduced at this age to begin the foundation. This is a one hour time block with tap and jazz. Each are taught in 30 minute sections. Students will now perform two dances in the recital instead of just one like the Tiny Tots. Jazz at this age is taught similar to Creative Movement, however more terms and movements are introduced and the dances are asked to learn a full jazz routine. We offer the dance disciplines of jazz, tap, and ballet for students in kindergarten through third grade. A separate Ballet is taught at the age of second grade. Before that age the jazz class will contain some basic ballet terms. We prefer to wait until the child is physically and mentally ready for the details for proper technique in ballet. These 30 minute blocks are performance classes and learn choreography for shows throughout the year .Building the child’s self–confidence and dedication to mastering a skill through performances is essential in training the whole child. Our one hour classes are available to students in grade fourth and above and include the dance disciplines of jazz/hip hop, ballet, pointe and tap. As the child progresses in dance the hour block allows us to develop the technical skills that are needed in the more advanced forms of dance. These are performance based classes that work not only on the techniques of the dance discipline enrolled, but provide choreography and class performances . 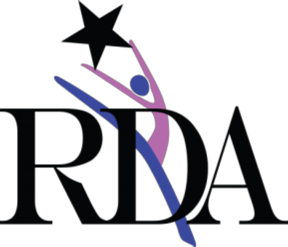 This helps the young dancer develop the important traits of dependability, dedication, self – confidence, and grace. All skills used in everyday life situations. Students must be approved by the ballet instructor to be accepted into this class. We do require our pointe students to take year round dance and take classes twice weekly. Twice a year we hold auditions for our two productions. The first audition opportunity is offered in October. Rehearsals are held throughout November with our Christmas performance held the first weekend of December. Our second audition is held in March for our spring production held the middle of May each year. All students receive at least one speaking part and most costuming is provided for the performances. The theater group is designed to develop the performer with voice projection, stage blocking and self – confidence. The art of dancing can not always fully be achieved in 30 minutes classes. A dancer is always perfecting their craft and these classes offer that opportunity. The classes are 45 min of specific training on a particular element necessary to create the best all around dancer a person can be. These classes are opened to anyone 2nd grade and above, but some are required by our competitive team members. We are proud to offer competitive teams for all ages in the areas of pom, lyrical, and hip hop. Our teams are in the studio twice a week so that they can be competitive but also be with family. Our teams have multiple National Championships in all categories.